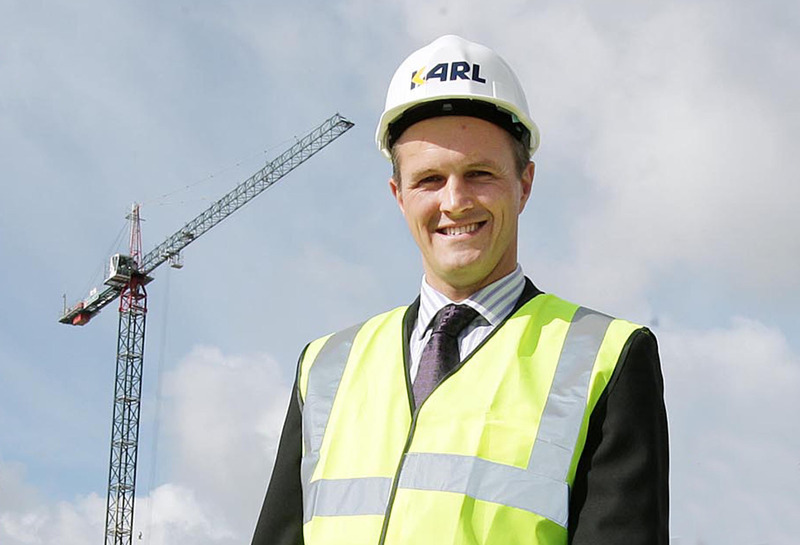 IT was the flagship of the boom times for the Northern Ireland economy less than five years ago so why are developers now discussing the possibility of selling-off luxury apartments at the Obel Tower complex for social housing? Is Northern Ireland’s premier apartment block about to become the latest in a long line of cash-strapped property developments to be saved by a publicly funded buy-out? An investigation by The Detail can reveal how housing associations have used £132m of public money since 2007 to buy up private developments of more than 1,400 properties for social housing. But what does this say about the true value of the north’s housing market? And does Social Development Minister Alex Attwood’s recent threat to slash grant funding to housing associations mean that the lifeline for private developers is about to be cut? When the 28 storey Obel Tower development was launched onto the property market at the height of the housing boom in 2005 it was lauded as a landmark development for the regeneration of inner city Belfast. At 85 metres it was the tallest building in Ireland. The £75m development boasted plans for more than 180 luxury apartments, a 144 bedroom hotel and 41,000sq ft of prime office space. In 2005 the Obel apartments went on sale at £90,000 for a one-bedroom studio up to a £475,000 for a penthouse. They were snapped up within 48 hours, even though work on the development was not due to begin for another year. The boom times continued and by 2007 the prices at Obel Towers had literally gone through the roof with first time buyers fighting to outbid each other for studio apartments now starting at £160,000. Penthouses were snapped up for a mere £725,000. But the tower was also dogged by adverse publicity. It was nominated as one of the UK’s worst designed buildings and labelled as Belfast’s `tallest white elephant’ and the world’s `most expensive abseiling tower’. When the property market crashed in 2009 so did prices. The hotel was abandoned and replaced with plans for another 40 apartments. In April 2011 only around 100 apartments in the development are understood to be occupied while office space remains empty. The latest accounts for the development’s owners, Donegal Quay Ltd, reveal that £4m has been wiped off its original £54m valuation in 2009. Over the same period developers’ bank loans have almost doubled from £28.3m to £51.3m. At that time developer Aran Blackbourne said he remained optimistic that Obel would “be a success for Belfast”. “Big projects like this are always long-term so you have accept that there will be ups and downs,’’ he said. Mr Blackbourne said he was confident that his company would one day sell the building. However the Detail can now reveal that Obel’s developers have held talks with a housing association to discuss the possibility of selling-off apartments for social housing. A spokesman for developer Aran Blackbourne confirmed to the Detail that discussions had recently taken place with Clanmil Housing Association. The discussions are understood to have centered on the possibility of selling-off up to 40 apartments in what was originally to have been the hotel. “I can confirm that there was a discussion with Clanmil,’’ a developer’s spokesman said. A spokeswoman for Clanmil refused to be drawn on the discussions with Obel’s developers. “As one of Northern Ireland’s leading housing associations Clanmil Housing is continually seeking opportunities to increase the social housing provision in areas of housing need’’ she said. “To this end we frequently engage in discussions with site owners and property developers. “While the current situation in the property market is regrettable, it provides an opportunity for housing associations such as Clanmil to provide further high quality homes for rent.